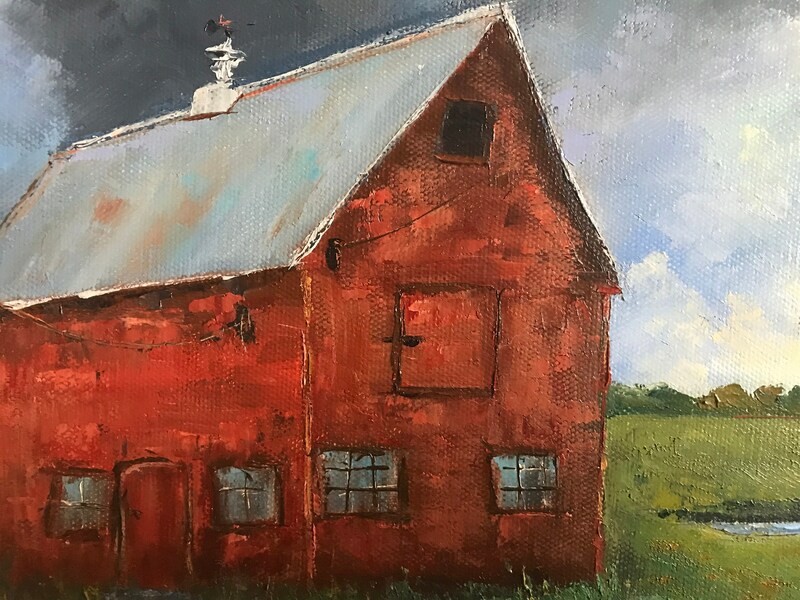 THE RED BARN is a 12” x 16” Unframed painting on a high quality gallery wrap canvas. 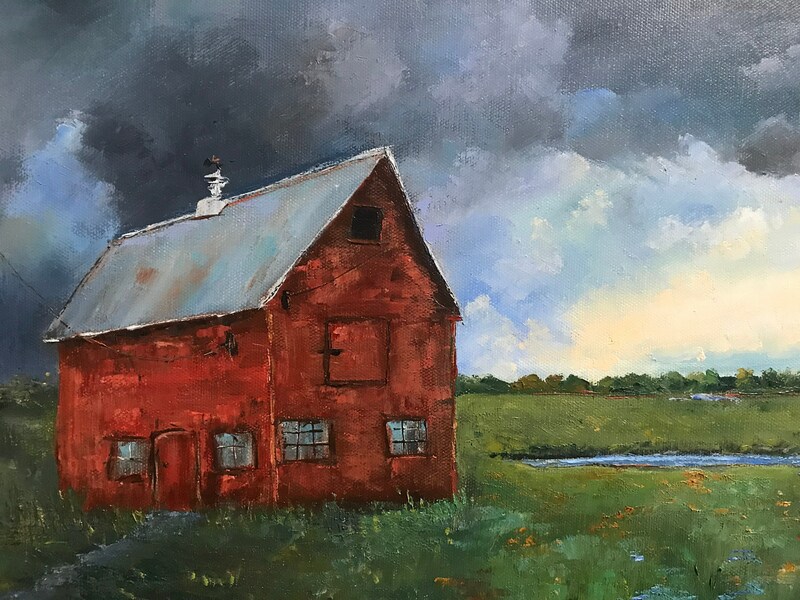 This is a wonderful painting of a red barn. 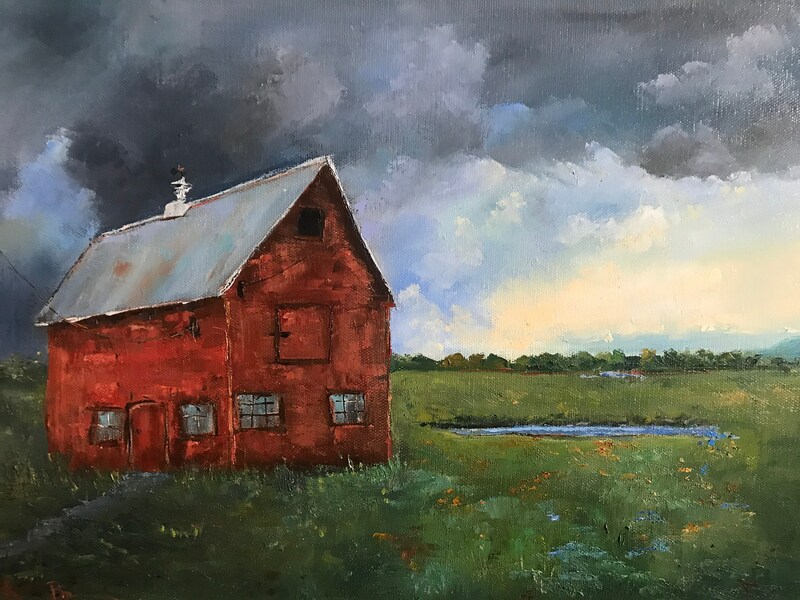 Behind the barn is a dark, stormy sky. 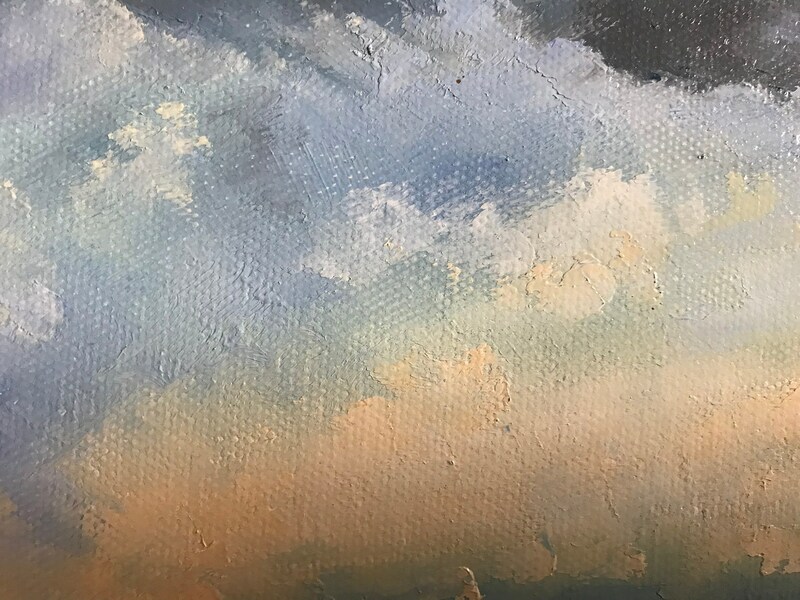 The sun is peeking out on the right. 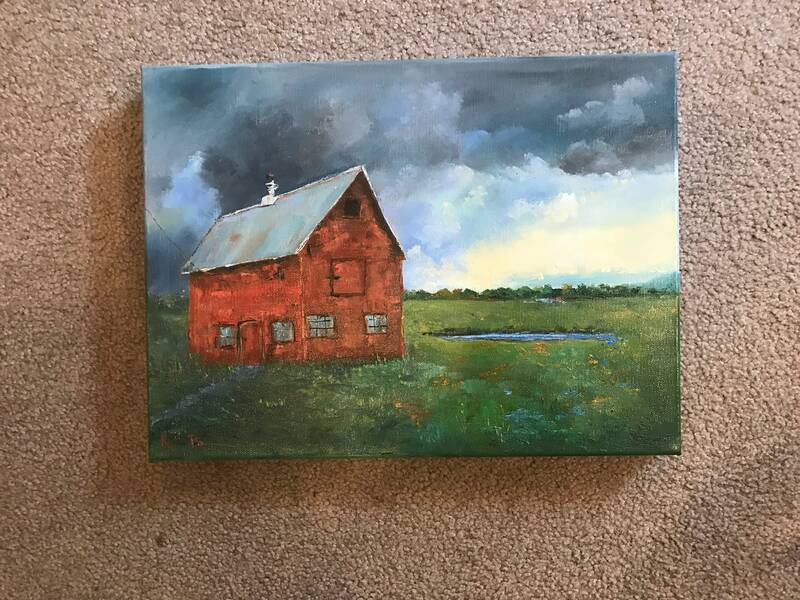 This painting is done from a picture my daughter took in upstate New York. 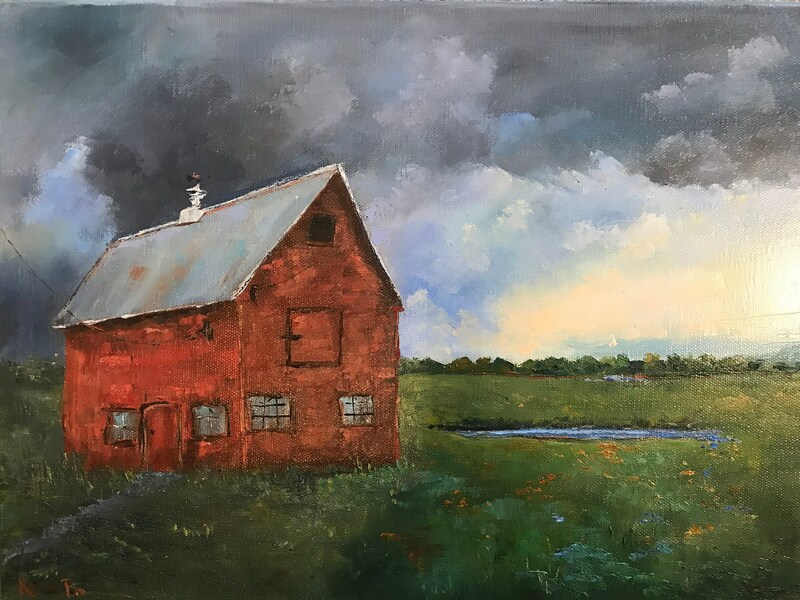 Wooden barns are fast disappearing, so I want to try to preserve them in paint. This is a wonderful piece that anyone would be proud to own. 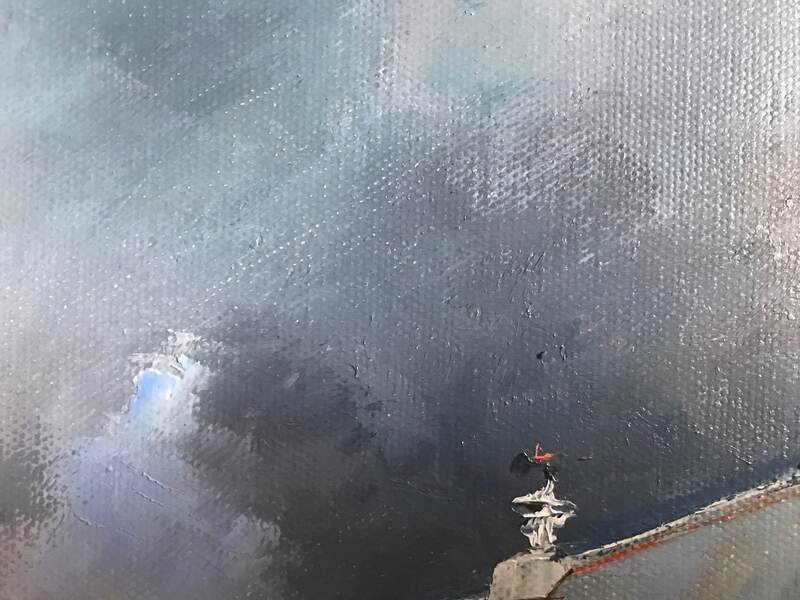 The painting is done on a high quality gallery wrap canvas. 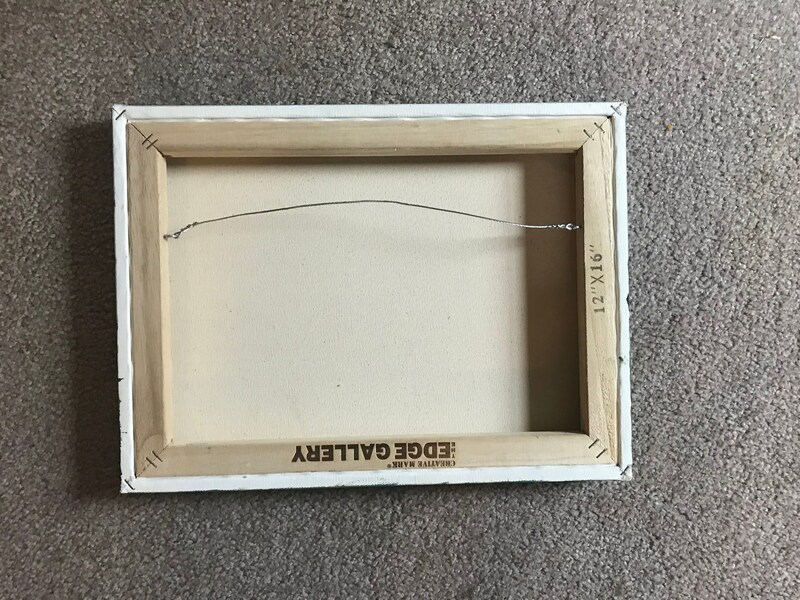 The canvas depth is 1 1/2" and is painted all over the edge. 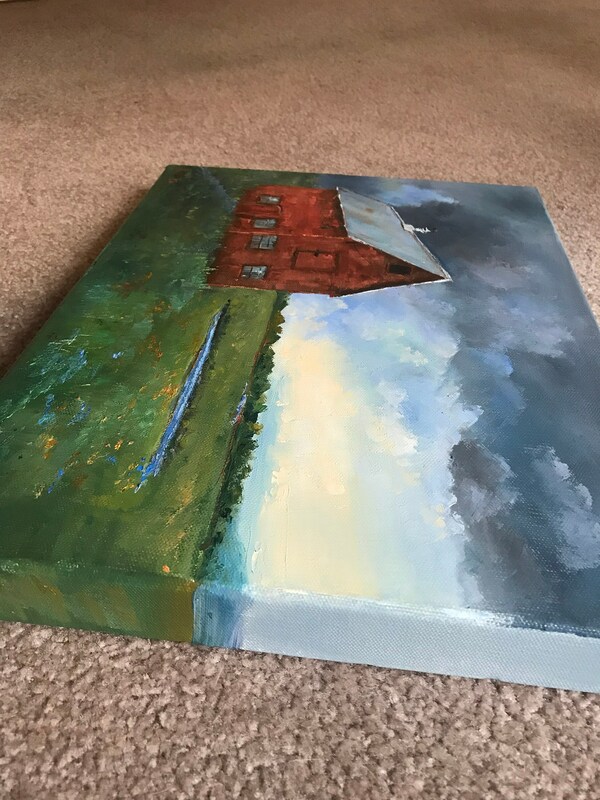 That means you don't need to frame this painting. 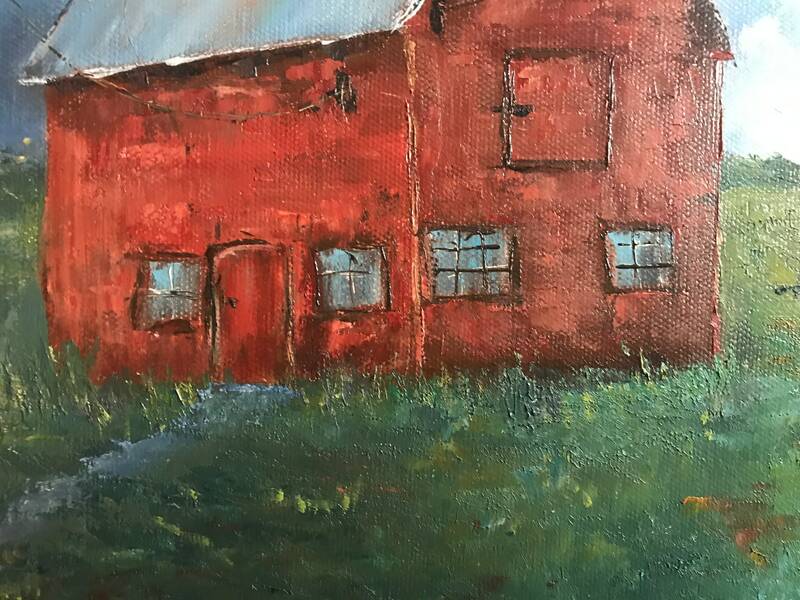 If you double click on some of the pictures, you can see the thick impasto paint that makes the weeds look real. The colors are bright and vivid.